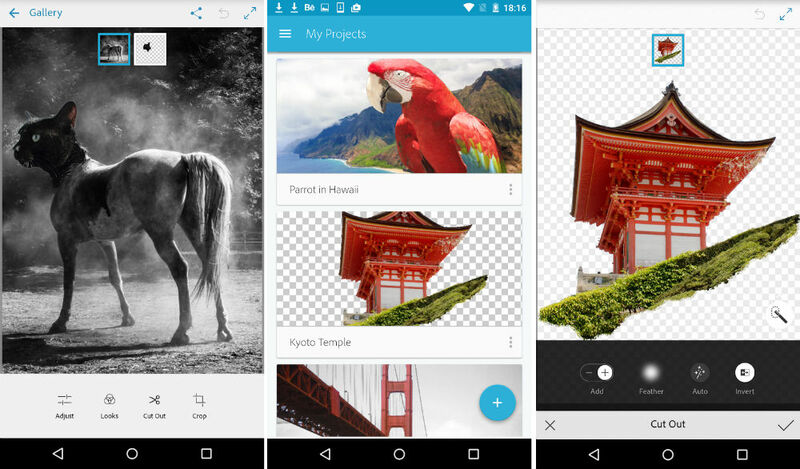 Users of Photoshop Mix from Adobe should turn their attention to Google Play this afternoon, as the company announced an update bringing three different features. Once updated, users will benefit from the ability to combine more than two layers, which will allow for the creation of more complex images. Additionally, Adobe baked in “sophisticated blending,” letting users control layer opacity to blend images for either realistic or artistic results. On top of that, you can now apply as many Selective Looks as you want to each image, getting just the right effect you are after. On our end, the update doesn’t appear to be quite live yet, but keep your eyes peeled on Google Play. Ability to combine more than two layers: Create more complex images now that you can combine up to five layers in a single image. Sophisticated blending: Control layer opacity to seamlessly blend images for realistic or artistic results with new Blend Modes. Unlimited Selective Looks: Apply as many Selective Looks as you want to each image layer to get just the effect you want.